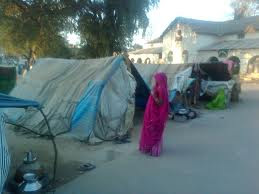 In a strange explanation, the Gujarat government has said that providing information under the Right to Information (RTI) Act on prevalence of untouchability in the state will lead to “a sharp rise in incidence of enmity in the rural areas of Gujarat.” The explanation comes in reply to an RTI application, filed by top NGO Navsarjan Trust's senior activist Kirit Rathod, who had wanted to know details of a report, titled “Understanding Untouchability”, prepared by the Centre for Environment and Town Planning (CEPT) University, commissioned by the Gujarat government on October 22, 2010. A copy of the letter, sent to the state information commissioner, D Rajagopalan, on April 4, 2013, has sought to give as many as seven different reasons, in order to deny information on untouchability in rural Gujarat. It is still not known how the Gujarat information commission takes these explanations, which are self-explanatory on how the officialdom is shying away from addressing issues related with the prevalence of untouchabiliy in the state's villages. Significantly, the explanations do not just include the imagined prospect of a sharp rise in incidence of enmity in villages in the state in case information on untouchability is provided, but also such reasons like “possibilities of hurdles in the process of dialogue between different castes” in the rural areas, and chances of “a sharp decrease in interdependence” between different castes, which allegedly characterizes the “homogeneous atmosphere” in the state's rural areas. Saying that if information is provided, “relations between different communities may be in jeopardy”, the reply to Rathod further says that in case incidence of untouchability are “proved to be true” in villages, this would lead to “rise in the atmosphere of peace, dialogue and compromise” which may be prevailing in the villages. “There is also a possibility that the person who reports on untouchability would find living difficult in the village”, the government believes, suggesting how Dalits in some villages, in order to maintain an atmosphere of homogeneity, take steps which apparently ensure that the overall atmosphere of peace in the village is not marred. The last explanation, given in the explanation, prepared by the state social justice and empowerment department, is that in case information on untouchability is provided under the RTI application, it would lead to a situation where the Dalits may be deprived their source of livelihood. “This is because the Dalits' livelihood depends on the jobs provided by higher castes”, the letter explains. Rathod, who had wanted to know about details of the untouchability report prepared by the CEPT University, had sought details like on-the-spot inquiry of incidence of untouchability in the state's rural areas, made by the CEPT University scholars, as also the reasons for untouchability provided by state-level and district-level officials. The government, while denying the details, said it was acted under the RTI Act's section 8(J). The Gujarat government had asked the CEPT University to review the study, "Understanding Untouchability", following a news story in on it in the Times of India. "Understanding Untouchability" is a complete census on prevalence of untouchability in the state's more than 1,589 villages, carried out by Navsarjan Trust volunteers with the help of US-based Robert F Kennedy Center for Justice and Human Rights. The Navsarjan Trust released the results of the survey on January 27, 2010. Two other stories, also based on the survey, on Dalits facing disrimination in temple entry and midday meal scheme appeared subsequently.